MegaCode Kelly is a realistic manikin for training in a wide range of advanced life saving skills in pre-hospital emergencies. 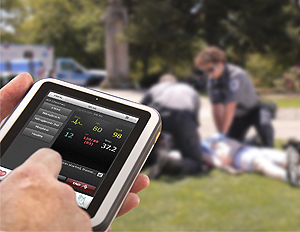 Works with the SimPad System to provide highly effective training in advanced life support, targeting key skills of pre-hospital care providers. Scenarios available from the SimStore library provide standardized training while customizable scenarios and real-time instructor control allow adaptation to meet an individual student's needs. Flexible manikin platform with optional modules accommodates a wide range of training including CPR, ACLS, NBC, trauma, bleeding control, and first aid training.